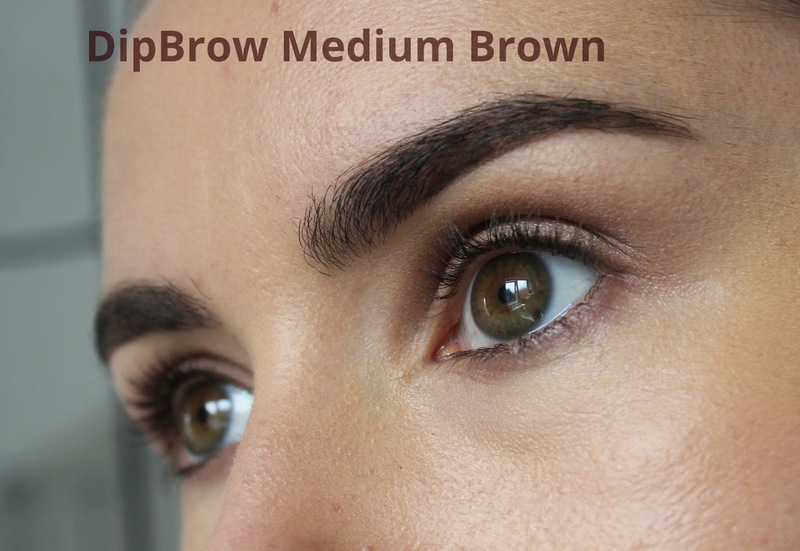 The best thing to happen to Brows since HD... and even then MAYBE better?!!? 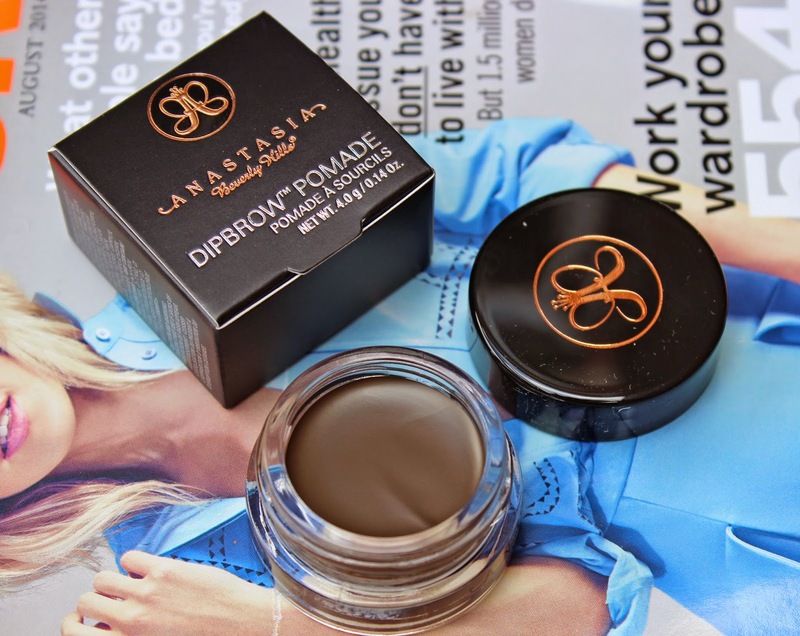 Developed by former architect-turned-eyebrow maestro Anastasia Soare who has sculpted the eyebrows of everyone who’s anyone in Hollywood (Cindy Crawford and Penelope Cruz are clients), Anastasia’s DipBrow Pomade is the easy-to-use, long-lasting answer to eyebrow perfection. 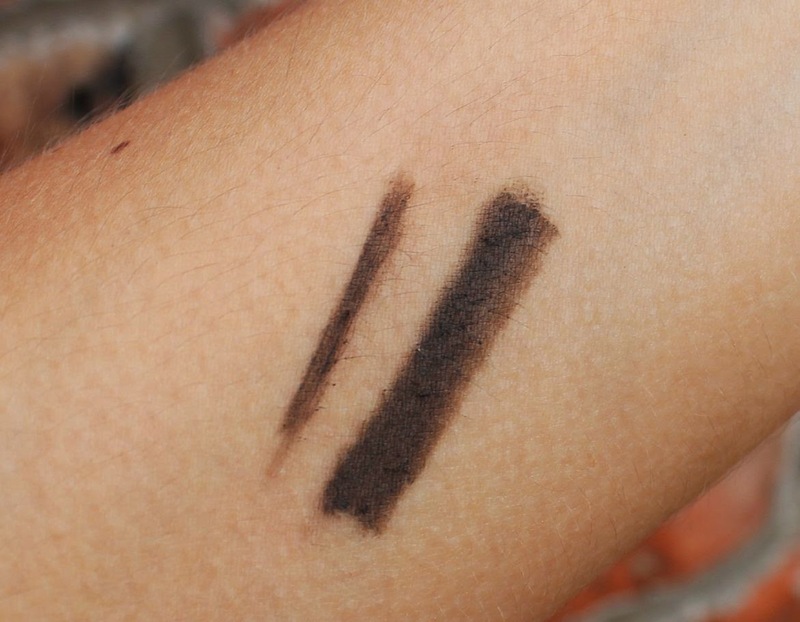 A creamy gel-mousse – similar to gel liner, except a little spongier. It’s extremely pigmented so a tiny bit of product goes a real long way and it glides on effortlessly. I started using it with my usual MAC Angled Eye brush (which I use to apply HD Brow powder) but I felt like I wasn’t getting the best out of the product so I ordered the Anastasia #12 Brush.. Sucker? Actually it’s way better and works in harmony with the DipBrow. The angled brush has a smaller brush head affording improved precision and the bristles are firmer, so it picks the product up without really having to stab the brush into the pot. I tend to line the base of my brows before smudging it upwards with the brush and the spooly. The product adheres to individual brow hairs and can look very natural, but it does dry quite quickly so don’t mess around. Now available in eight shades. The five original shades – Blonde, Auburn, Chocolate, Dark Brown and Ebony and recently added Soft Brown, Medium Brown and Taupe. I did agonise over the shades, ordering online without swatching the products in real life is always tricky. I went with medium brown and I think I got it right. It’s quite dark, but anything lighter may have been too warm. If this ain’t a 10, I don’t know what is! Like gel liners, this stuff does not budge, smudge or fade! I wore it for swimming to put it to the test... even the sauna couldn’t budge it. That said it washes off easily with cleanser so don’t worry about scrubbing. My normal wear time is around 10 hours, but it would last longer. Elegant, simple, sturdy glass jar. I like that I don’t have to worry about it cracking or crumbling like a powder but I do worry it would dry out before I’ve used it all up. Brows, brows and more BROWS. 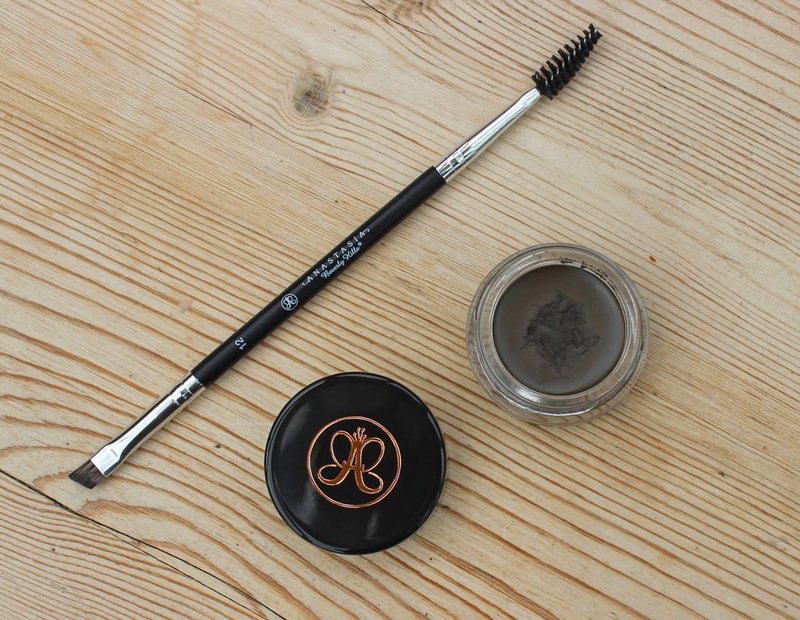 We’re talking professional looking, groomed brows without the price tag (or trip to LA). I expected this could be tricky to work with... WRONG. It’s stunned me just how fool proof it is. I feel like it’s taken my brow skills to the next level. I’m even getting more daring, adapting the shape and thickness of my brows. Plus the brush allows me to be very directional and precise meaning I can match ma’ sisters (sisters NOT twins remember) better than before. Eyebrow perfection! 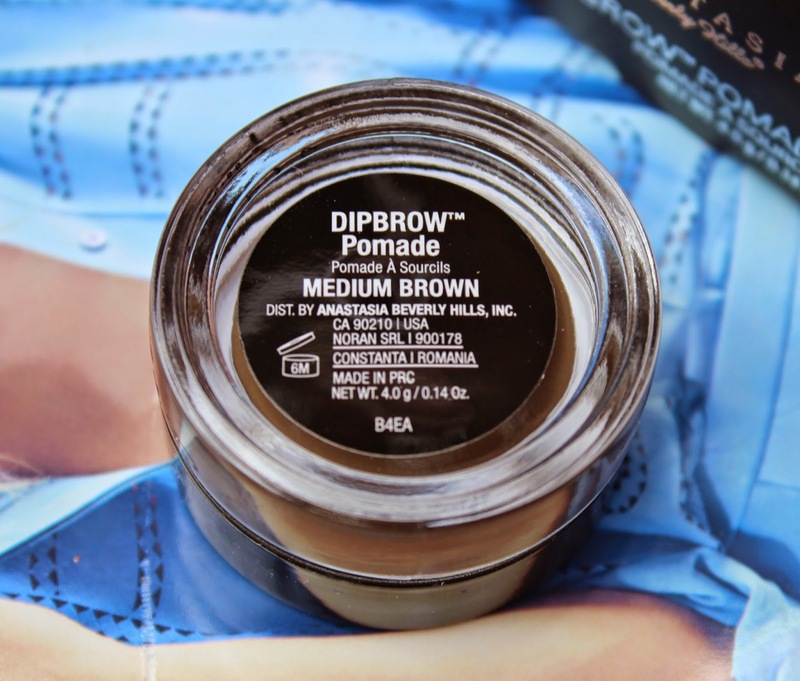 DipBrow make brows out of nothing (have a look at the youtube tutorials) even the sparsest brows look brow-alicious after a dip in Anastasia’s wonder product. Is it better than HD Brows? Ask me again in a few months but early indications are GOOD. I predict a future beauty hall of fame graduate. You have the most perfect brows of life! Only to say, i tried the new stuff of Armani to eyebrown ......and is amazing but expensive. Thank you Elin. It was on mine for ages too! So pleased I finally took the plunge... the only tricky part is choosing the right shade. Best of MAC - My TOP Five!